Week-long workshop: $580 Early Bird ($680 Regular) + Fees. Limited work-trade available. Includes three meals per day and tent-site. Minimum 8 participants, maximum 10 participants. 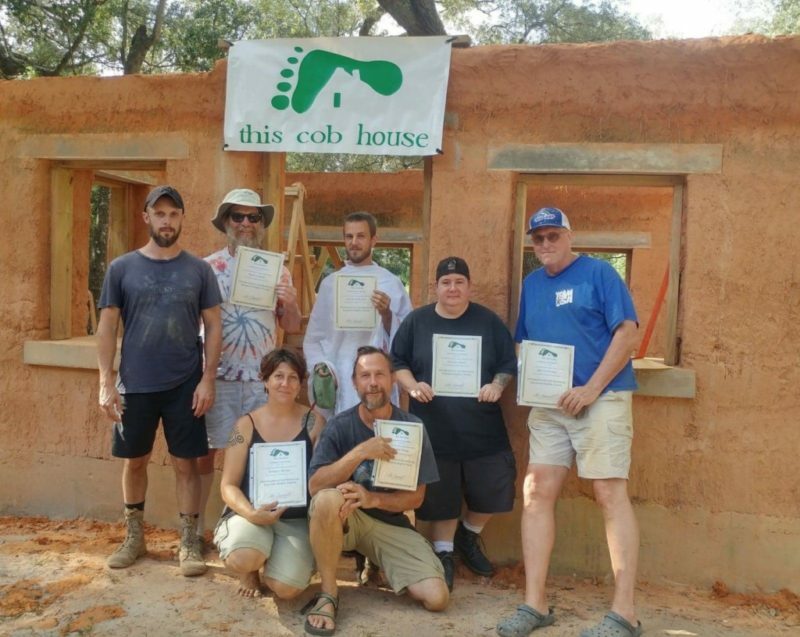 Our intensive workshop will begin with a weekend of strawbale and slip-straw construction. We will be actively installing the straw walls in a 600-square foot, permitted cabin. You will learn to shape and securely fasten strawbales to a conventional wooden framework, as well as mix and install slip-straw insulation between the studs. 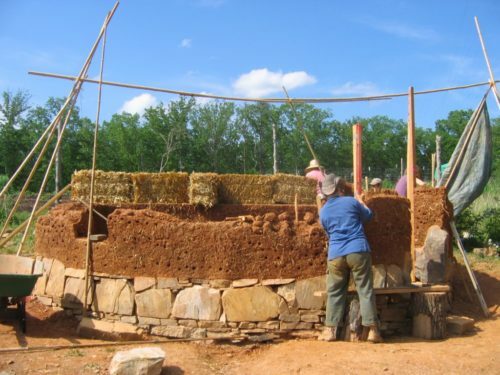 Once the straw component is complete, we will move on to mixing cob (with our feet, and machines), which we will then use to build interior walls in the “wattle-and-daub” style of building. 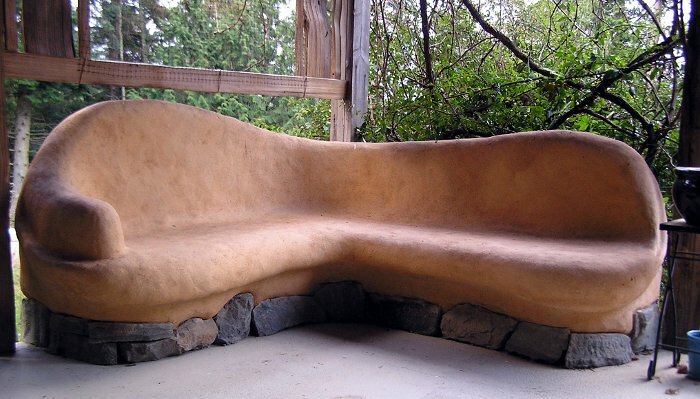 Cob building is known for being empowering and beautiful. It’s easy to learn, uses materials that are found naturally around the worksite, and dries almost as hard as concrete! We will finish our week by mixing and applying natural plasters. 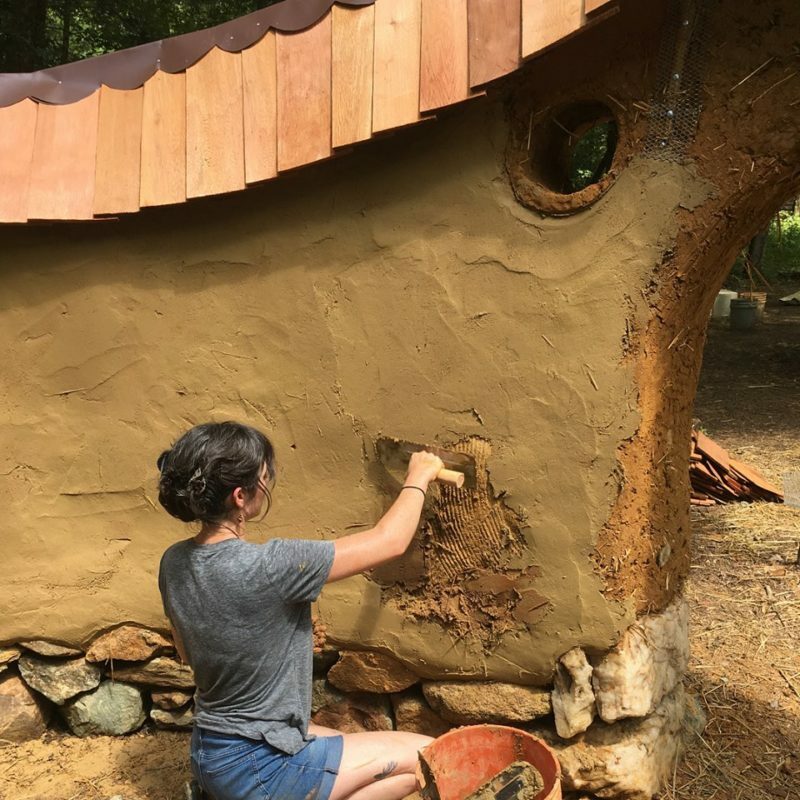 Our strawbale walls will get coated with a sticky adhesion mix, and then a scratch coat of clay plaster – both mixes we will learn to apply, and to make from on-site clay soils. Discussion will cover how to process your own clay for plaster, successful plaster recipes, and different natural additives that can make your plaster even more durable and beautiful! A home tour of local owner-built, natural homes will be included in the week, as well as a campus tour of the nearby Mud Dauber School of Natural Building. Enjoy unscheduled evenings with our group. Spending time as a small community is an inspiring bonus to attending an intensive workshop of this sort. Included in the cost of the workshop are three wholesome, home-cooked meals a day, tenting spaces, and access to hot showers/facilities. It should be more than hot enough to enjoy swimming in the pond, a couple hundred feet from our work site!